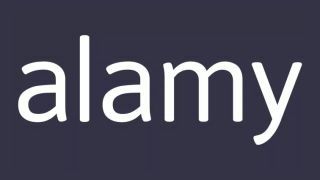 Stock photographic and image agency Alamy has informed its contributors via email that, as of February 2019, the commission rate will be slashed from 50% down to 40%. The "new commission structure" has not gone down well with stock photographers, who were still aggrieved about the slash in royalties from 60% back in 2010. Famously, Alamy was founded on a principal of paying the lion's share of royalties to photographers, which began at 90%. In an attempt to calm nerves, Alamy co-founder and CEO James West took to YouTube to explain the changes. "The thing that we got wrong, and I was pretty naive about with hindsight, was the royalty split," describing the initial 90% split and low commission fees as "eBay for photographers". Explaining that "it was very unpopular with photographers who knew more about this market than we did," Alamy then moved to a 60% commission. Following the 2008 recession, 2010 then saw the company enter an "investment and recovery period" (using the Alamy's own finances, rather than entertaining loans or investors) resulting in a drop to 50% royalties. "If you look at the long timescale, you can see it's kind of cyclical… I think we're entering another one of those phases [economic hiccup and recovery]; partly there's a lot of uncertainty about the UK's relationship with its neighbours in the European Union, there's a lot of uncertainty about the global economy in general." West expressed his confidence that over three to five years, the company would be able to return a higher revenue to contributors than would have been possible without the commission cut. Further, Alamy aspires to close the gap with the "Tier 1" agencies like Shutterstock, Getty and Adobe. "In doing that we will be paying a royalty of 40%. The entry level royalty at our competitors is still around 20%, and the average probably across all of their business is around 30%. So were' still going to be paying a higher royalty rate after this change." So, in short, the company is doing what it needs to survive things like Brexit, it's still paying you more than the other agencies do, and it aims to provide greater revenue returns than it would have been able to if it hadn't cut commissions. "I don't think this is something we're going to need to do again – famous last words. I think I've probably said that before. [But] I'm probably less naive than I was when we started out."